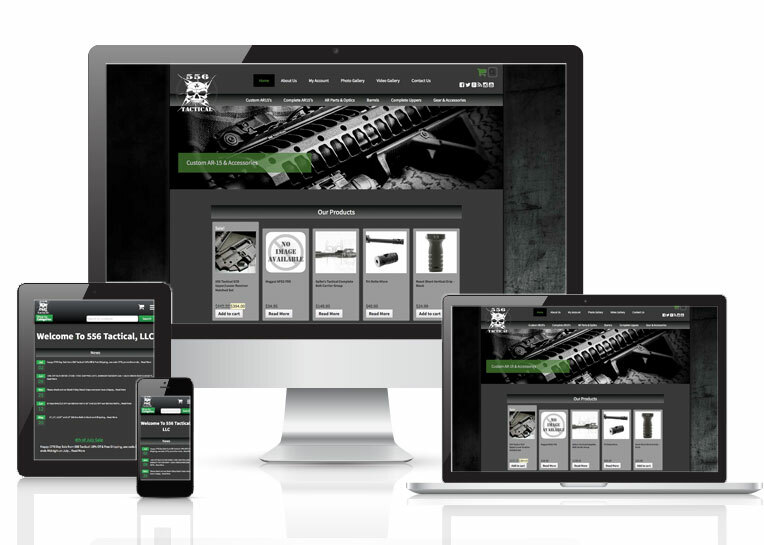 Online Presence Builders reformatted 556 Tactical’s website in WordPress, including merging the separate page that served as a homepage but took more time than necessary to load and played load music that deterred customers. We also put together a comprehensive design, social media and Ecommerce strategy to create a valuable online presence for them. Customers are more likely to find value in interacting and making purchases with this company online. Online Presence Builders clearly presented all of the most valuable facts about 556 Tactical and provided a gateway to purchasing products with ease while at the comfort of their computer or smart phone. Online Presence Builders assisted this company with their online customer service, ease and convenience of their new website.